Main-level living at its finest! 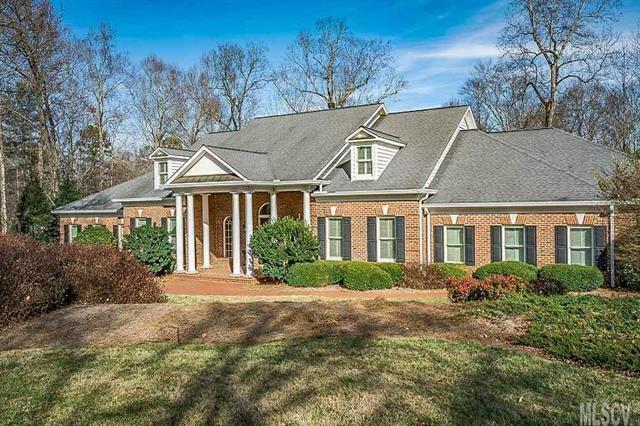 This stately home in Lakegrove offers over 4600 heated square feet on the main level, featuring a grand entrance hall, formal dining room, living room with see-through fireplace, cozy den with built-ins, and a huge kitchen with bar seating, breakfast area, and keeping room. The main level also offers a huge master suite with fireplace, exit to the rear deck, walk-in closet, and bath with his/hers vanities, jetted tub & shower. You'll also find two guest bedrooms with Jack & Jill bath, laundry, triple garage, and a relaxing screened porch on the main level. Downstairs, the lower level offers a family room with wet bar, huge patio, and two spacious bedroom suites with private baths. Don't miss the 2600 square feet of storage space also found on the lower level! Outside, the park-like setting is just a quick walk from the community lake access and boat dock. Private location backing up to woods with creek on property. No city taxes!